32 oz. 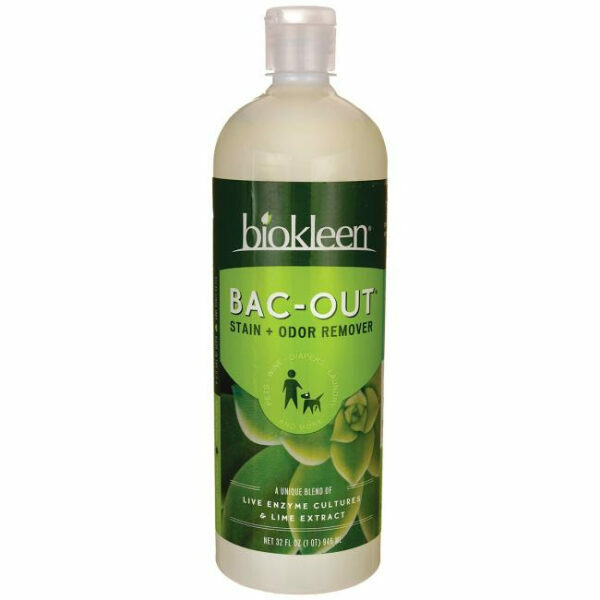 Biokleen Bac-Out Odor & Stain Remover for $7.25, regularly $9.68. Regularly $9.68/bottle, we LOVE this stuff for removing odors and stains from work clothes, hockey/wrestling gear, and everything (stinky) in between. Orders are placed every other week. We will notify you with the delivery date once your order is placed. Farmhouse Market © 2015 All Rights Reserved.